Admiral Maltings - Red Seven - 50 lb. bag - F.H. Steinbart Co.
All of Admiral’s malts are produced from grain grown sustainably by California family farms. The Metcalfe barley used in this batch of Red Seven was grown using organic practices by Bob Schaupp in his fields outside Woodland, CA. Admiral Maltings - Kilned Caramel 20 - 50 lb. 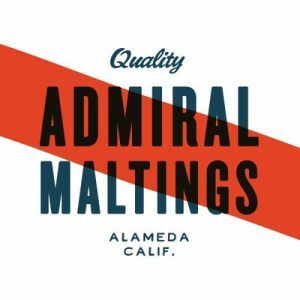 bag Admiral Maltings - Kilned Caramel 20 - per lb.